Horticultural farmers in Kenya stand to benefit from pest control NEMguard, a global player in crop protection, manufactured in the UK aimed at increasing production through sustainable management of plant-parasitic nematodes (PPNs). NEMguard® SC is lethal to plant-parasitic nematodes (PPNs), but has been classified as having no harmful effects on humans, animals, or the environment, which means it does not appear on the MRL (Maximum Residue Limit) list regulating ingredients growers can use on exported crops. 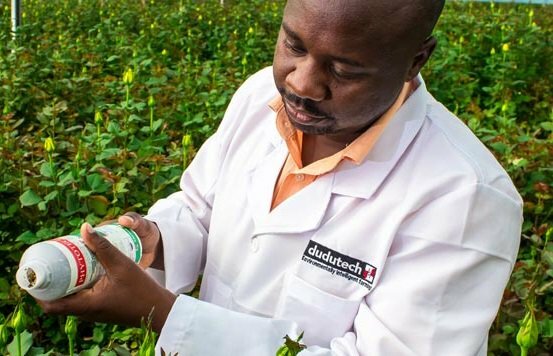 “Although the product has been labelled for use on roses and french beans, Dudutech has expressed keen interest in extending the label to other key crops. Available data indicates that Nemguard effectively reduces populations of plant parasitic nematodes on Tomatoes and Carrots amongst other agricultural crops. NEMguard® SC also effectively reduces cabbage root fly in brassicas,” – Jack Adundo, Technical Manager, Dudutech. Furthermore, growers who export to the EU will benefit from using NEMguard® SC as the residues do not appear on the MRL (Maximum Residue Limit) list which regulates the active ingredients growers can use should they wish to export their crops. Nematodes are tiny unsegmented roundworms which grow up to 5 mm in length and move through the soil in a film of water. The most economically devastating species is the Root Knot nematode (Melodygene spp. ), which reduces yield and quality by damaging the plant’s root system, restricting the uptake of nutrients and water. According to Singh et al. (2015), PPNs cause annual global yield losses of 12.3% equating to US$157bn. According to the Horticultural Crop Directorate (HCD), Kenya’s rapidly growing floriculture industry earned US$823m in 2017, up nearly 20% from the previous year. 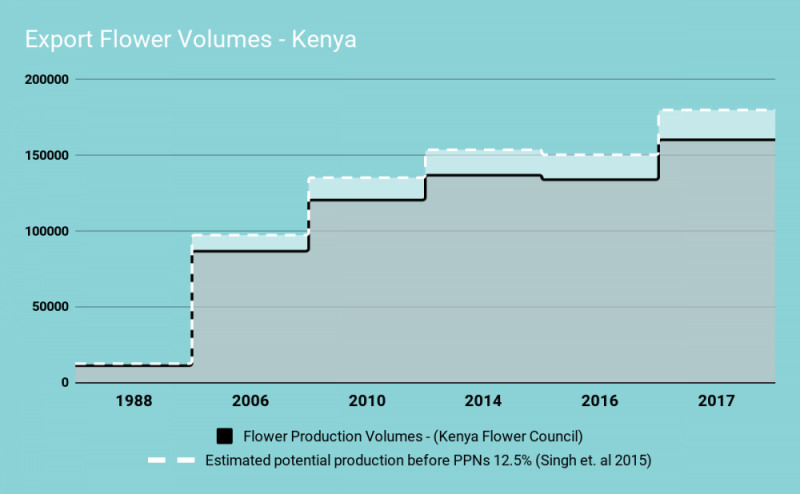 By assuming 12.3% yield losses, Kenya lost an estimated US$101m in potential export earnings due to PPNs from the floriculture industry alone.